Winter is one of the best seasons for creating cozy looks. 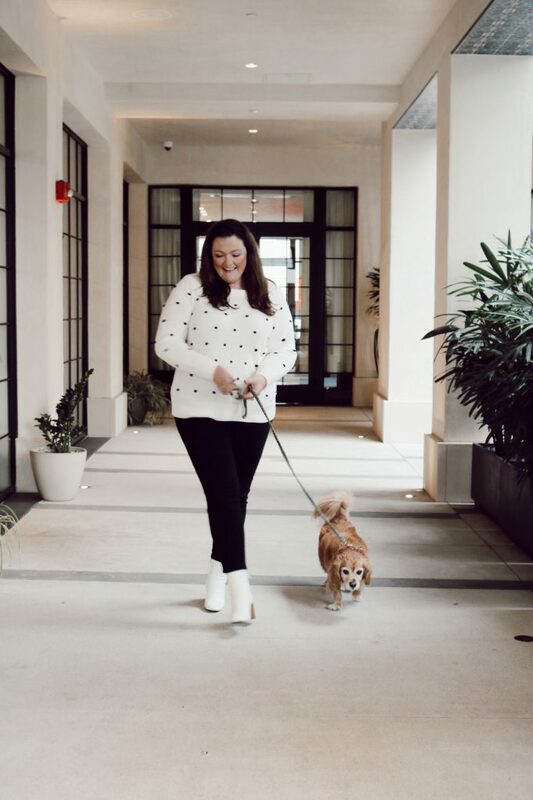 If you’re interested in adding a few trending pieces to your wardrobe, I have partnered up with LOFT to share few of my must-have winter apparel styles. 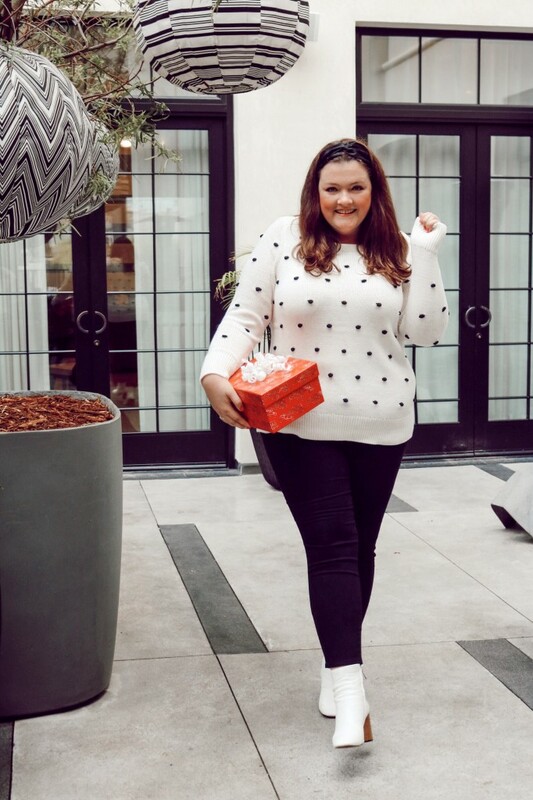 If you are looking for a playful chic sweater that effortlessly refreshes everyday outfits, this cozy bobble stitch sweater is for you. With long sleeves and ballet neck, this sweater will become a staple in your winter wardrobe. Just thick enough to keep you warm but not so thick that you can’t layer it under your coat! Pair it with brushed sateen leggings to complete your look. Sateen pants are perfect for winter and comfortable especially if you live in a mild climate where the weather doesn’t cool down too much. This style goes perfectly with countless tops and are perfect because of their versatility. Another favorite this season, the romantic (and flattering) flower-covered v-neck, wrap dress with long sleeves. 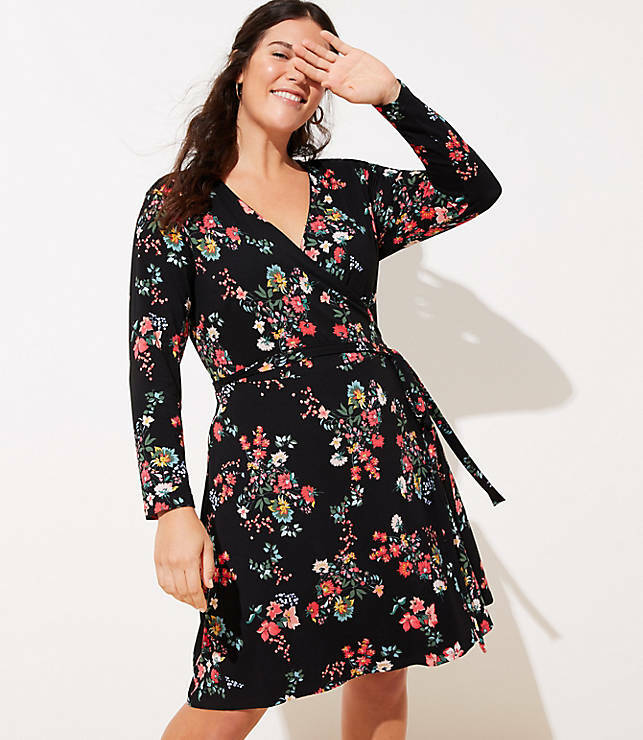 I am a huge fan of winter florals and this dress can easily be worn with tights and layered under a jacket for those colder days! Clearly I love a good wrap dress but when you add velvet into the mix, you’ve got the perfect holiday dress. 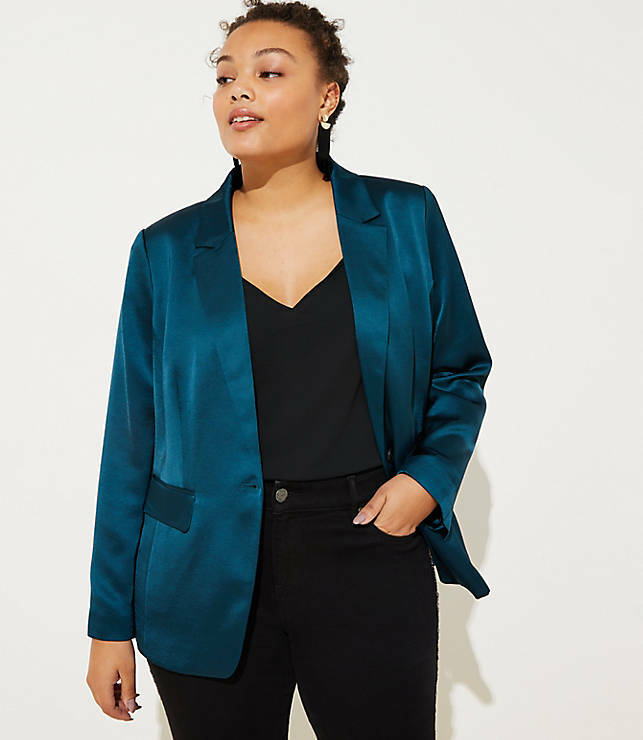 Wear to the office, office party or after work for cocktails. This dress has you covered plus this gray color will pretty much go with anything. Last up this gorgeous modern satin suit jacket! I am really excited to add this piece to my wardrobe for so many reasons. This is not your average jacket and the beautiful teal color is sure to carry you through this season into the next. Pair with jeans, the black sateen pants above or with one of the cute skirts loft has available right now. 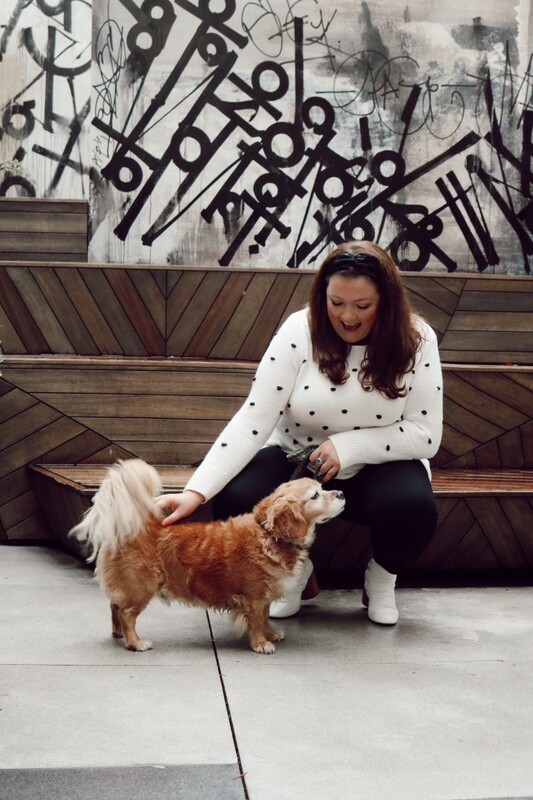 What I love best about LOFT is that they are size inclusive and have something for everyone carrying up to a size 26! Not only that, they’ve nailed the fit. Every single piece I tried fit me perfectly, felt luxurious and was very true to size. Lastly, the styles are all very fashion forward and on trend, a win-win in my book! What do you guys think? What are some of your favorites from LOFT? I am now more convinced than ever that I need to try loft! Yay let me know what you find? Loft always has such cute pieces! I really love the velvet dress and satin blazer.